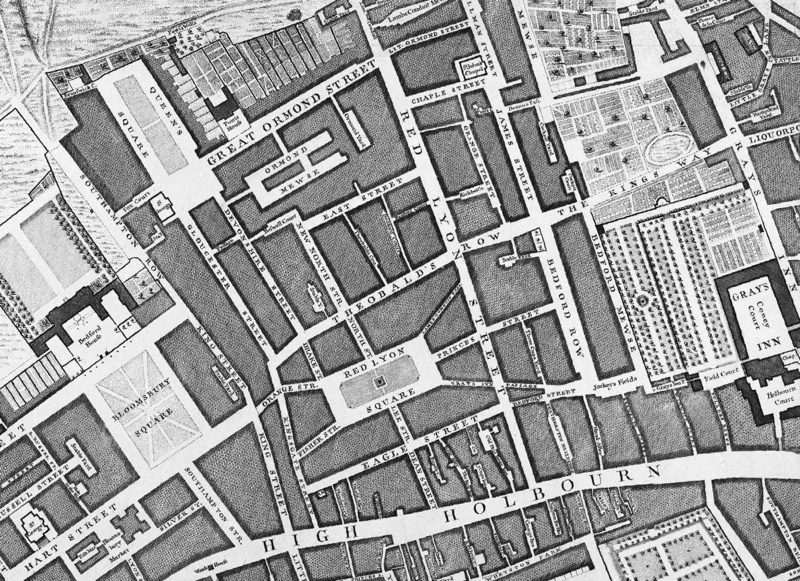 To celebrate one year since the release of London: The Information Capital by Mapping London co-editor James Cheshire and graphic designer Oliver Uberti, and the book recently winning the BCS Award, the authors have released a number of new excepts from the book. 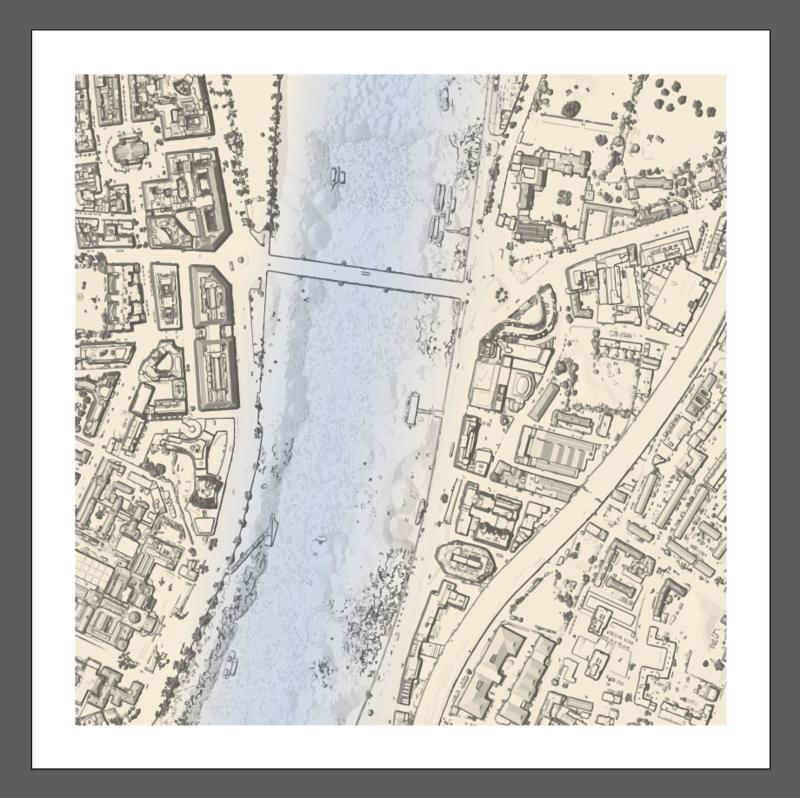 The cartography of the map is very pleasing to the eye, it combines the characteristic “sketch style”, with both the artefacts and the rail and river lines appearing as “pencil strokes”, but forming proper geographic map accurately showing the route. 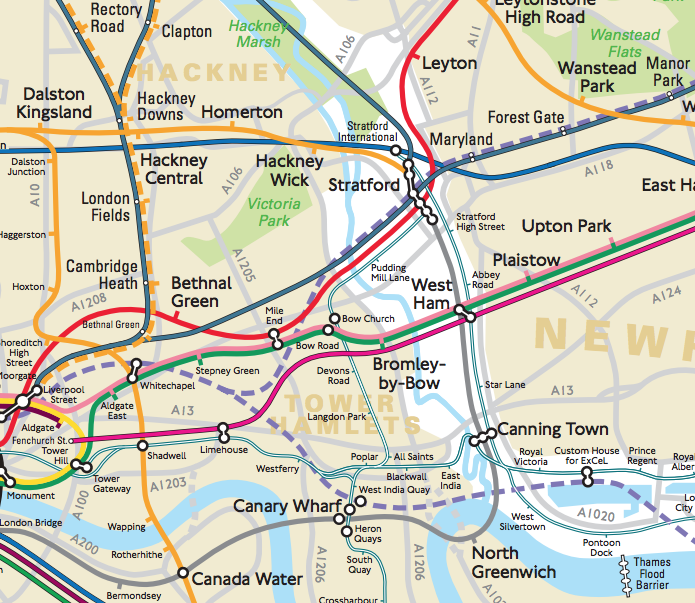 You can, by the way, see how Crossrail will mesh with the existing TfL routes in London on this interactive map (the line line is in purple on this latter map). You can buy the book on Amazon . 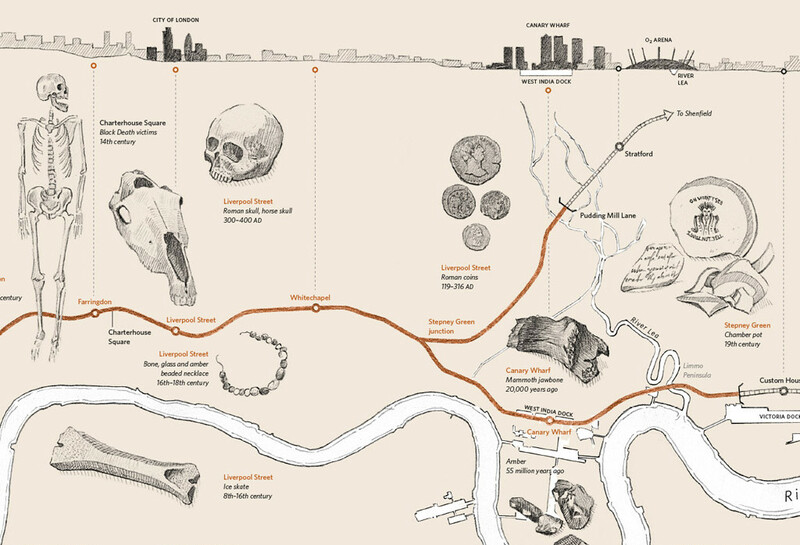 See also our previous feature on the official Crossrail tunnel map. 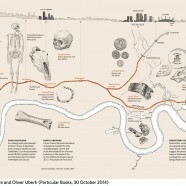 Sketches by Oliver Uberti with data from Crossrail.